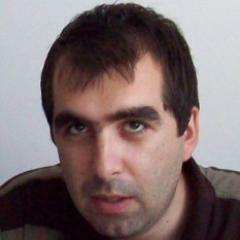 Valer Simion Cosma (b. 1986) has a doctorate in History from Babeş-Bolyai University in Cluj-Napoca, with a thesis on the role of the clergy in the rural world of Transylvania in the XIX century. He is the founder of the Center for the Study of Modernity and the Rural World (2016), the Conferences at Telciu (2012) and the Summer School at Telciu (2016). He has recently launched ”Gathered at Telciu”, a programme for research and artistic residencies, which he coordinates together with Claudiu Lorand Maxim. He has coordinated three volumes of works from the first editions of the Conferences at Telciu and has published a number of studies in collective volumes and specialist journals in Romania and abroad. 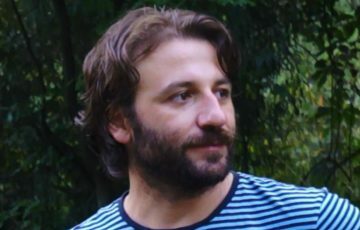 His research interests cover the modernisation of the rural world, the history and sociology of rural elites, village religiosity, indigenous religiosity, the relations between modernity/coloniality and religion in Eastern Europe, political economy, nationalism, populism and political clientelism. The Barricade talked to him about the third edition of the Summer School at Telciu, which took place between 11 and 19 August 2018. Mr. Cosma, the third edition of the Summer School at Telciu is over. The reactions and impressions of the foreign participants are known, just as it is known that the event is pleased to have the support of the municipality and of the local council, but how does the third edition look from the standpoint of the organisers? What was new and different in comparison with previous Summer Schools? Although we were better organised, although in comparison with previous years we had a bigger team and a greater number of volunteers from the village, it took a lot of work and a lot of effort for us to organise this edition. The number of activities increased and the number of participants was significantly higher than it was last year. The loss of funding from the Administration of the National Cultural Fund obliged us to set up a crowdfunding campaign in June, which took a lot of our energy and efforts. Apart from the funds we raised (which were more than we had asked for), it helped us understand how much support our project could receive and what our capacity for mobilisation is. In contrast to previous editions, this year only around 40% of the event`s budget was provided by the local and district authorities (15 000 lei from the municipality and the local council at Telciu, and 25 000 lei from the Bistriţa-Năsăd District Centre for Culture). The rest of the money came from private donations, either from individuals (more than 100 donors), or firms, foundations and trade unions (Transilvania Print, the Friedrich Ebert Foundation Romania and the IT Labour Union Timişoara), which donated or covered a part of the expenditure as partners. As far as novelties are concerned, this year we organised a small book fair of critical social theory literature for the first time. Three publishing houses were represented and displayed their stands with books and brochures in the library of the Technological High School in Telciu, where the Summer School courses took place. They were the ”Tact”, ”Idea” and ”Free Pages”publishing houses. They sold more than was anticipated, which makes us willing to hold more book fairs at future editions of the Summer School. Another fair took place on the last day of the Summer School and coincided with the feast days of the village. We invited the ”Produs” (Produce) Association from Bistriţa-Năsăud to bring craftsmen and local food producers to Telciu. Other novelties were the organisation of movie screenings in the village of Romuli for St. Maria’s Day, the performance of the theatre production ”Memories from the School Epoque” (director: Radu Apostol) in Telciu, and the organisation for the first time of a concert as part of the Summer School. The group ”Trifoi” (a popular band from Telciu) sang on Friday 17 August, at 22:00, at the ”Hovrea” bar. After that there was a gig by Elvis Romano and Ehsan Mashadi with a band of Roma and American musicians. These musicians put on another concert the next day as part of the village festival, before a large audience, most of whom were local. A lot of the participants were impressed by the diversity of the events, the discussion topics and the communication formats (which included not only seminars, but also theatre productions, movie screenings, parties, concerts, workshops, fairs, etc.). How did you come up with such cultural and intellectual wealth? From the very beginning, we included a wide spectrum of events and activities in the programme of the Summer School – courses, workshops, theatre productions, movie screenings, children’s workshops – so we didn`t make any significant changes on the level of format. We only made changes with regard to the quantity and added some new things. Given that the event presupposes the intersection of people from many different backgrounds – delegates from Romania, foreign delegates, local children, delegates’ children, local adults – we wanted to organise activities which were as diverse as possible. Among them some had to facilitate the interactions of various categories of participants – such as the discussions after the theatre performances, the excursions and the long talks over glasses of beer. It is naive to think that many people from the vicinity would participate in the courses that are offered, but I think it is much more important that they come to other activities and that an ever larger number of young people spend time every day with people from outside the village. It is important that socialising and the discussion of political, economic and social topics, and even of local problems should take place in a joyful and easy-going atmosphere, especially to the extent that this communication is happening in a local context. What difficulties did you have with the organisation and realisation of so many events within the Summer School? There were no major organisational difficulties, even though we had a lot to do with regard to accommodation for the participants and invited guests. Telciu is not a touristically developed zone, so the accommodation possibilities are limited. The three motels on the outskirts of the village were full, but we were saved by the goodwill of some local residents. After repeated announcements on Facebook and after knocking on the doors of different houses – even when the Conferences and Summer School had already started – we managed to obtain a few rooms, so that we could accommodate all the people who had asked to stay in houses. Motels have appeared in recent years not so much because of tourist needs, but rather as venues for weddings, which take place in their halls. The locality is not ready to host a big influx of visitors, but even if accommodation was a bit difficult for us, this effort is a part of the great charm of the Summer School. People are accommodated in local homes or use tents, and accept that they are coming to a village and not to some urban academic centre or tourist resort. So participants in the Summer School have a basic understanding of the context and of the effort made by the team and the local partners so that the event would take place in the most comfortable way for everyone. But an additional effort was necessary for those participants who had not followed the registration procedures which help us get a full picture about numbers and the number of the rooms necessary. I think the rising number of children who come together with their parents to the Summer School is another important aspect of our responsibility. The fact that they were accommodated in local homes, that they interacted with children from the village, that they participated together in a workshop run especially for them, makes us happy. I think this is good both for the village, and for its visitors. What does this diversity show about the Romanian intellectual left which gathered at Telciu? I think it is important to underline that, along with those people who have accepted a left-wing political identity (covering a wider spectrum of orientations – from anarchists to social democrats), there was a significant group who came to Telciu without the need to identify themselves with some aspect of the Romanian left, even though they are interested in the topics and in the proposed approaches. I say it is important to underline this, because it shows that there are topics and approaches which stir up interest beyond the politicised circles of the left. It shows that people can gather around certain topics and can discuss them, with or without agreeing on them, but they are getting to know one another, having exchanges. It shows that this is not a gathering of those who only either quarrel with or praise each other. Personally, I think it is good that people gather here from the (apparently) fragmented and diverse zone of the left. It is also good that people come here who are curious and undecided, attracted by the topics, the speakers or the atmosphere, without having clearly defined political convictions. It would be good if those who are suspicious of the ideas or of the people of the left also came here. In this whole tense atmosphere in Romania, full of hatred and hysteria, we need spaces which are free from conflict. I am too pessimistic and too sceptical to have fantasies about the unification of the left. Neither am I tempted by the idealism of a complete consensus, a world in which all the people love each other and everybody has their rights. But I think it is necessary to put into the public agenda some topics which are relevant for the present condition of society and which reverberate among the majority of the population, so that we could counteract as much as possible the hegemony of the neoliberal auto-colonial, auto-oriental discourse. I still think that for many participants – on the left or not – it is useful to experience a brief “downshift” like this, to the contemporary rural world, in a place where modernisation and conservatism often act within different parameters and on a different axis compared to what we have been taught or thought was universal. This edition of the Summer School saw the presence of many foreign participants from countries such as Japan, Pakistan, Egypt, the USA, Australia, Denmark, Germany, Poland, Spain and others. What does this large international presence show? To what extent will the event continue to be a meeting place of the global, national and local worlds? What do the words of praise from the foreign participants after the event mean for the organisers? International participation is increasing year by year, which is a sign that the Summer School at Telciu is affirming itself as an event of reference for the critical thinking space in the world. As I reflect on the way in which the Summer School has developed over the last three years, there are enough reasons to think that the event will continue to be a place and a moment of meeting between the global, national and local worlds. The positive words which came from the foreign participants are an additional cause to be optimistic in this regard. This year the events at Telciu were financed through crowdfunding. This is a sign which shows that they are considered important and valuable to the community that is their social base. To what extent are you likely to base yourself on funding from the common people for future editions? We had to use crowdfunding in order to resolve a crisis and we are happy that we managed to succeed. But I don`t know whether we will be able to function with such a strategy in the long term. It makes us happy that we received considerable donations, including from locals in Telciu, from people who worked hard for the sums they donated, and not from rich people. It is a sign that people appreciate the initiative and that they are open to supporting our projects. At this moment we are trying to channel our energies and hopes towards public sources of funding, such as the Administration of the National Cultural Fund and the District Centre for Culture in Bistriţa-Năsăud. The crowdfunding campaigns remain a solution if there are obstacles or another crisis in the future. The events at Telciu are put on by the Center for the Study of Modernity and the Rural World, which is located in Telciu. How does this centre contribute through events and through its diverse activity to the life of the local community, to the development of Romanian society and to the debates in social sciences around the world? Another contribution is the project for research and artistic creativity residencies, called Gathered in Telciu, which was launched last year and brings artists and researchers to Telciu for the summer. The residencies presuppose a different type of interaction with the locals and a different type of participation in the life of the village (compared to what regular guests at Telciu do). This year the result was the teaching theatre performance, coordinated by Claudiu Lorand Maxim and Alexandra Voivozeanu. There was a documentary movie by Vlad Petri, Theodor Constantiniu and myself. There was also a book with illustrated stories, produced by Vasile Ernu and Veronica Neacşu. This book will be promoted in a national tour covering six cities: Piatra-Neamţ, Iaşi, Bistriţa, Cluj, Sibiu and Bucureşti. As far as research is concerned, at the centre we have many projects which are being prepared or are in progress, but the lack of funding is one of the reasons why we are unable to act very fast on them. I would mention the collective book, Postsocialist Rural Romania, which I am preparing together with my colleague Agota Abran and which we plan to print next year. I think this is the moment to switch towards the phase of written records, which will complete our activities and events. In an interview for The Barricade, one of the key lectors at the Center for the Study of Modernity and the Rural World, Ovidiu Ţichindeleanu, had the chance to formulate the message and the contribution of the Summer School to the world. These are related to the power to be vulnerable in a rural place such as Telciu and to think about the world from its periphery. How would you like to develop the message and the contribution of the Summer School in the future? How does the future of the Summer School look now that its third edition has ended? To a great extent I hope that the message of the Summer School will stay within the coordinates of rurality and periphery, in the sense of assuming a critical perspective towards society from the periphery and from the position of the losers in the economic game. I would like us to enter deeper into some relevant topics for the contemporary rural world – such as migration, access to education and health, the places and conditions of work, the draining of human and natural resources towards the big economic centres – and to try as much as possible to leave written records, beyond our courses and activities. In a way this is the reason why we inaugurated the “Gathered in Telciu” residency programme for research and creativity this year. We wanted to offer our invited artists and researchers the possibility of being more in the community, to observe the life, the problems, the worries of the people here, so that they could produce artistic work which is anchored in the locality. As far as the future of the Summer School is concerned, I can say now only that we are waiting for feedback from the participants and the speakers and that we are preparing a series of major changes with regard to the format of the school. They will deal most of all with the way the activities for children are done. We would propose workshops covering the whole summer period, which would be longer and organised in such a way that they would be accessible to many children. At this moment we are preparing projects for obtaining the necessary funds to organise the next edition of the Summer School. Previous Post:Young Polish social-democrats: not radical enough to succeed?